Jack’s been doing a little bit of heavy haul this past week. 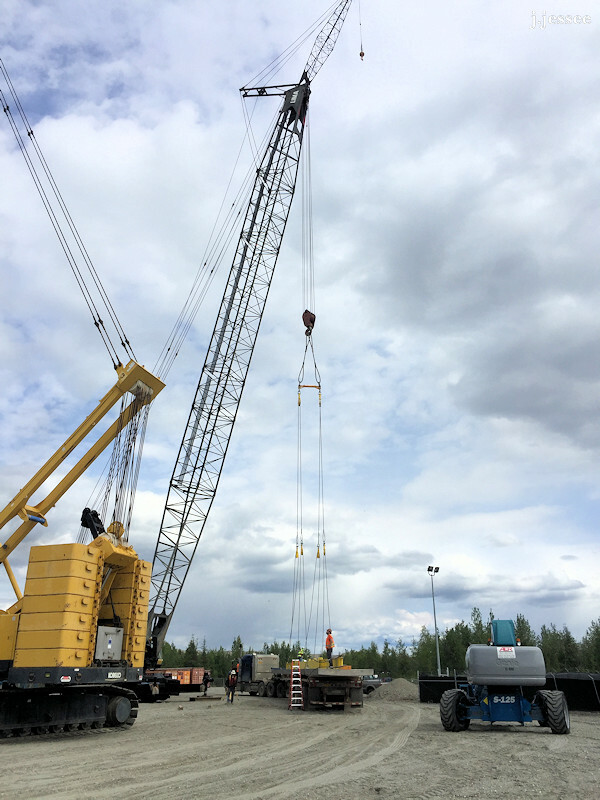 He took a 95 foot cement panel from Anchorage to Fairbanks. 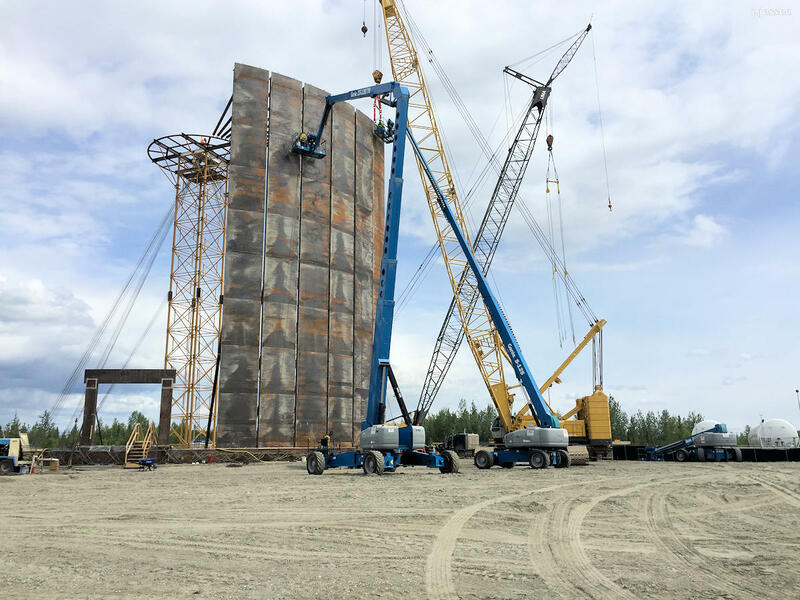 The panel was just one small part of a natural gas tank that is being built in south Fairbanks, as you can see in the below photos. It was about a foot of cement poured on a thick metal sheet that is slightly curved. We stood on it to take photos. 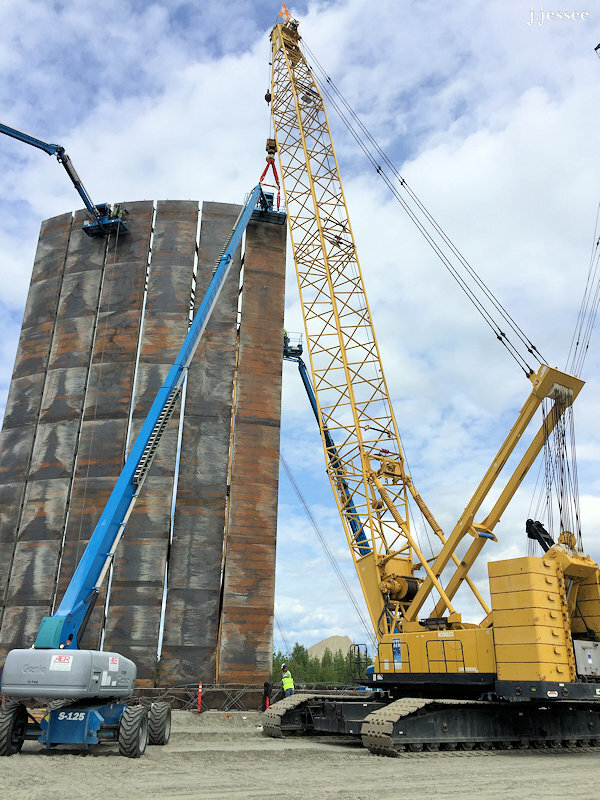 Jack Jessee, just hauled a cement panel to Fairbanks for the new LNG tank. 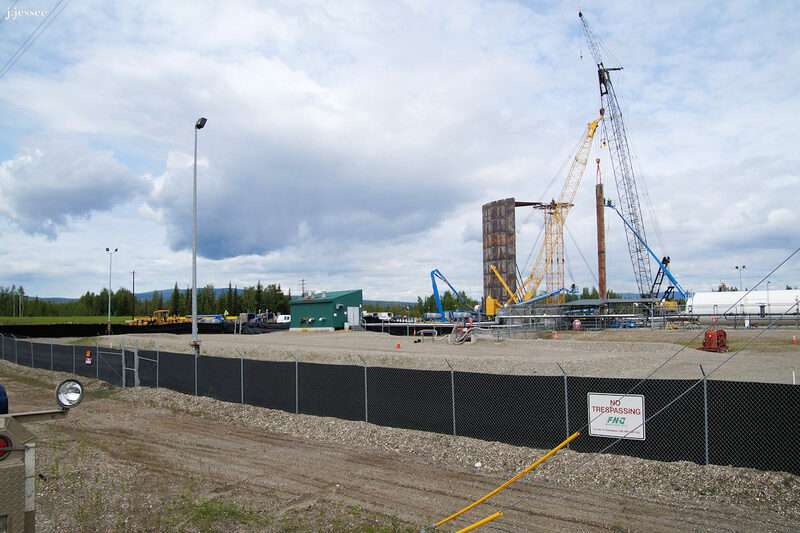 LNG tank at Fairbanks Natural Gas under construction. 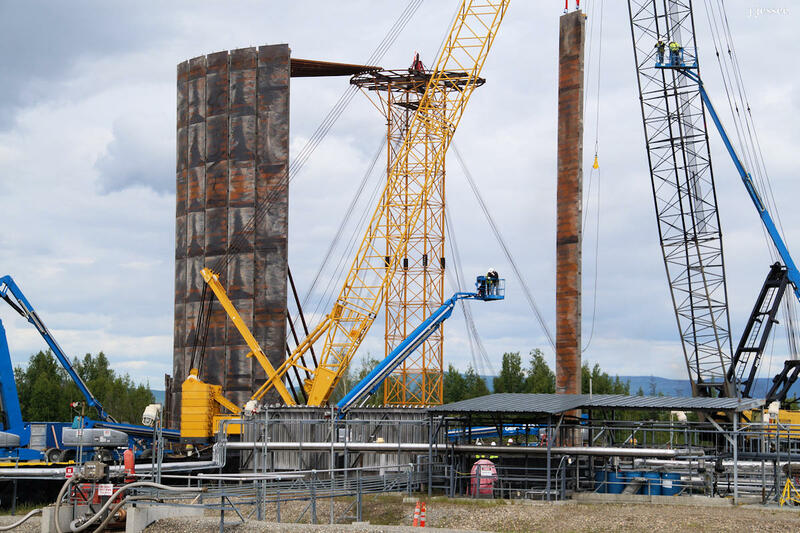 The large crane on the far right picks up the panels first. 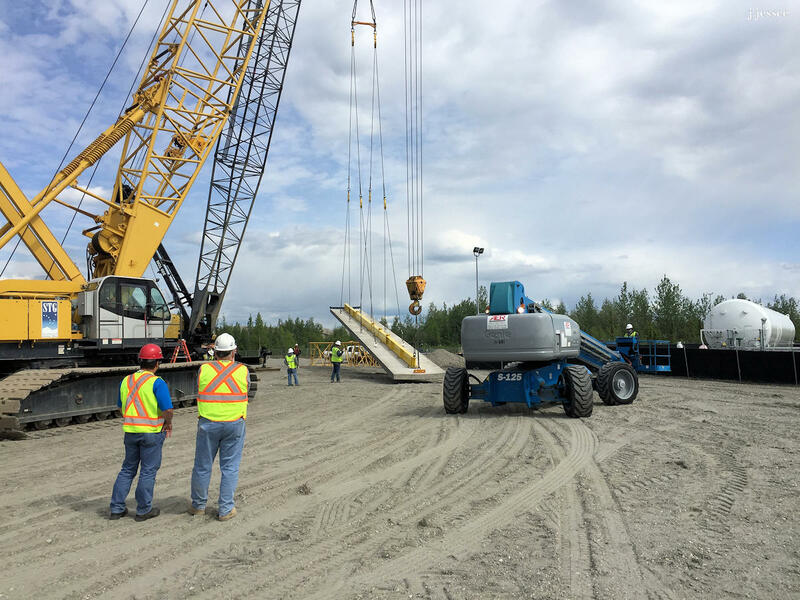 Two cranes and multiple man lifts, moving in coordination to place a panel (on the right). 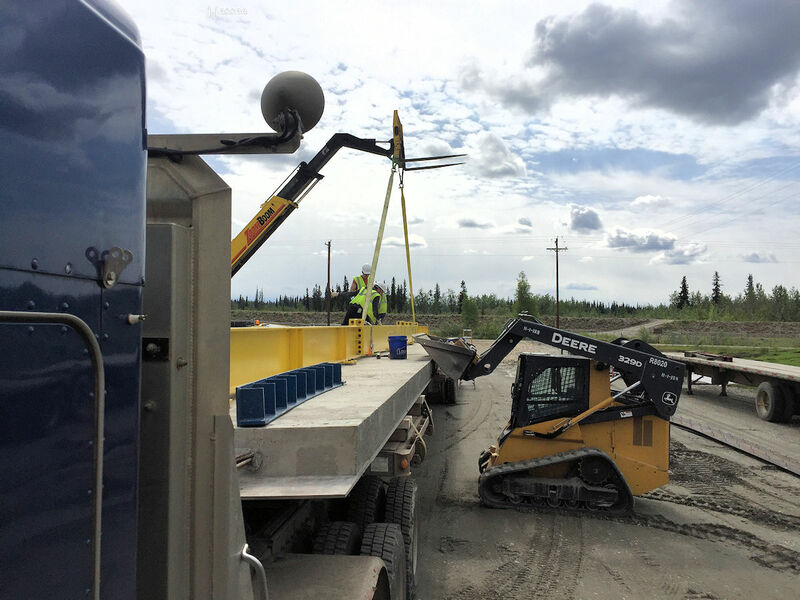 The yellow strongback is being attached to the cement panel on the back of Jack’s truck. The strongback prevents it from cracking when they pick the cement panel up. 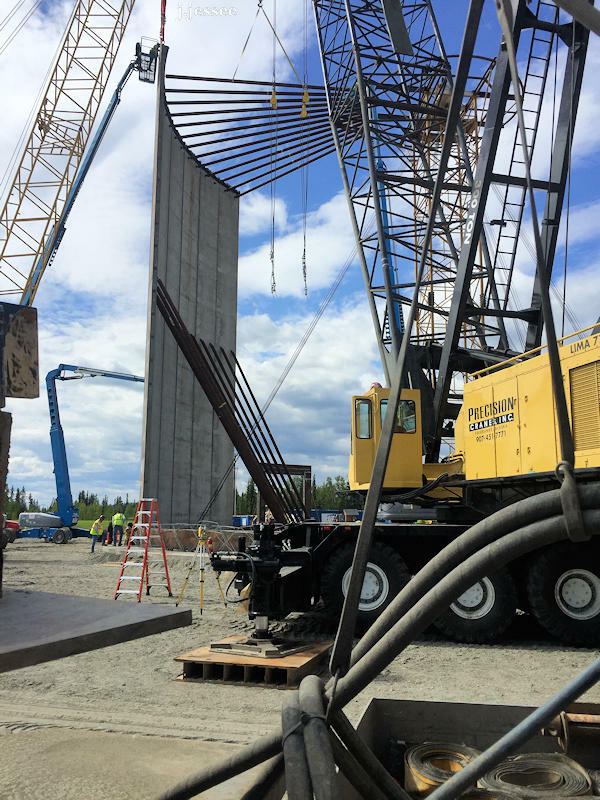 One cement panel is 95 feet long and 8 feet wide and it runs the full height of the tank. 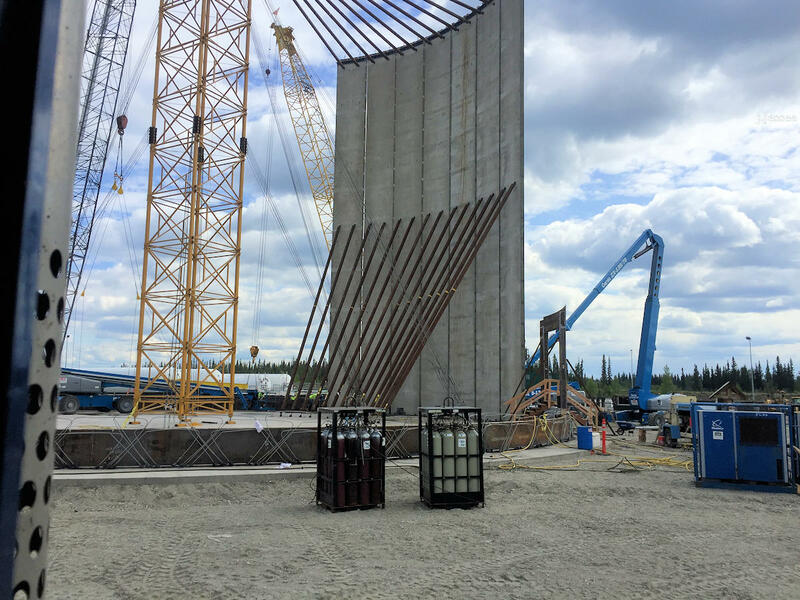 A cement panel is being secured. A crane and parts of Jack’s truck are in front of the inside of the tank. The panels are held in place by 4 temporary supports (2 on top and 2 in the middle). 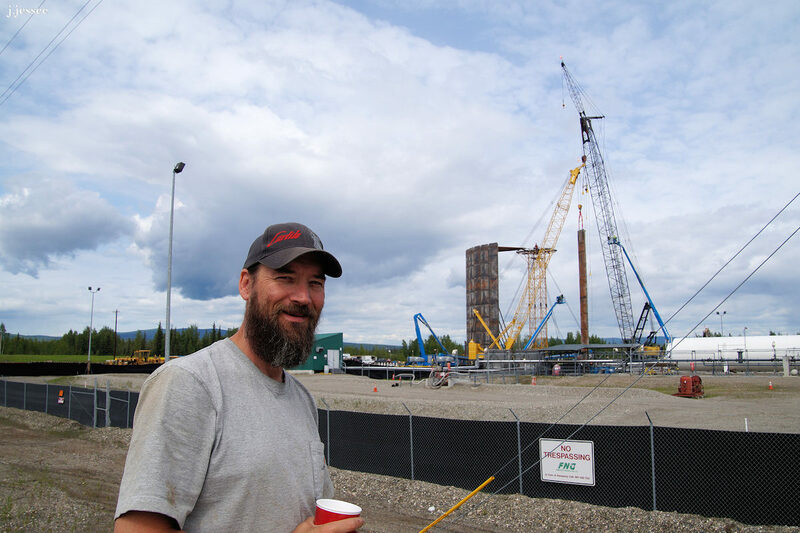 This entry was posted in Trucking and tagged alaska, building a tank, carlile transportation, constructing a tank, fairbanks, huge tank, jack jessee, large tank, liquified gas, natural gas, tank, tank being built, transportation, truck, truck driving, trucker, trucking, under construction, vehicle. Now that is some big tank.